A personalised 'I'm nuts about you' squirrel birthday card which can be personalised to make a unique birthday card, just for you. This squirrel birthday card is perfect for many occasions including as a birthday card or as a valentines day card. 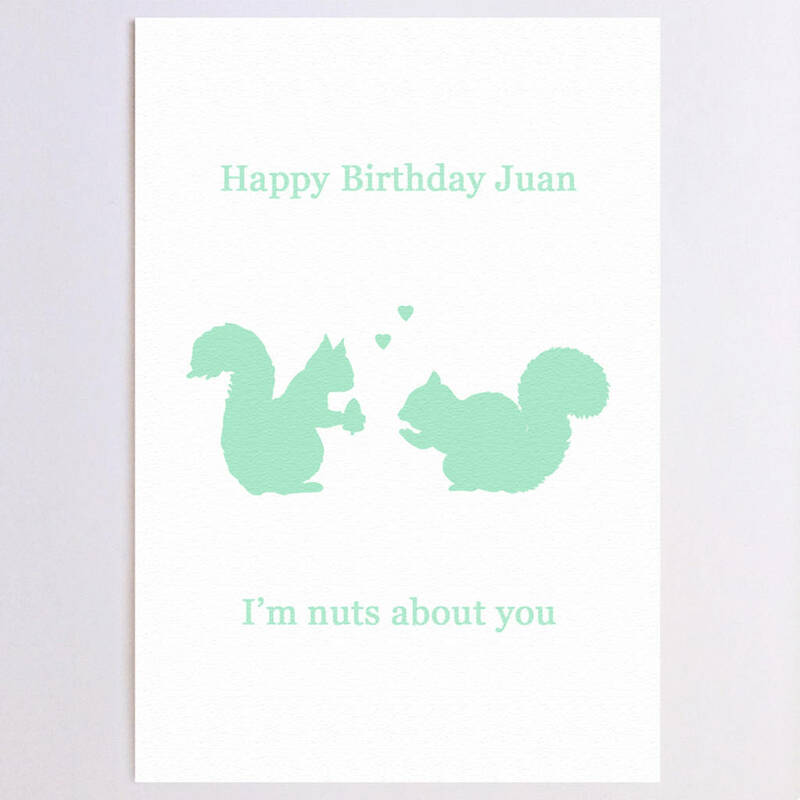 You can even change the slogan up to 100 characters or leave it defaulted to 'I'm nuts about you'. Your message will be copied exactly, including capital letters, spacing etc so please make sure that the message you type is the whole message you want!! 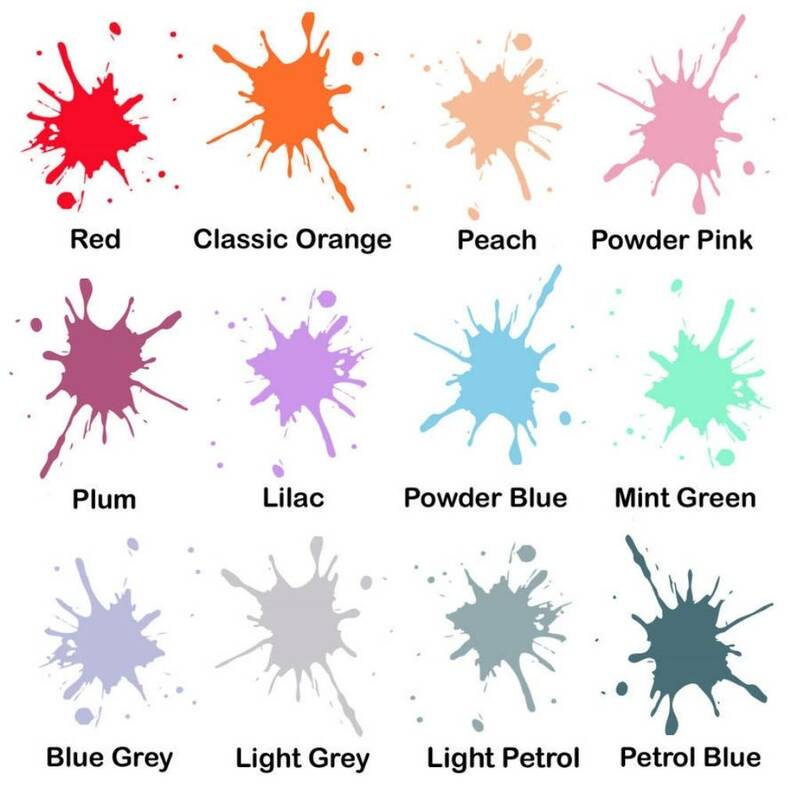 Colour options are shown in the key image, the main image is powder blue. 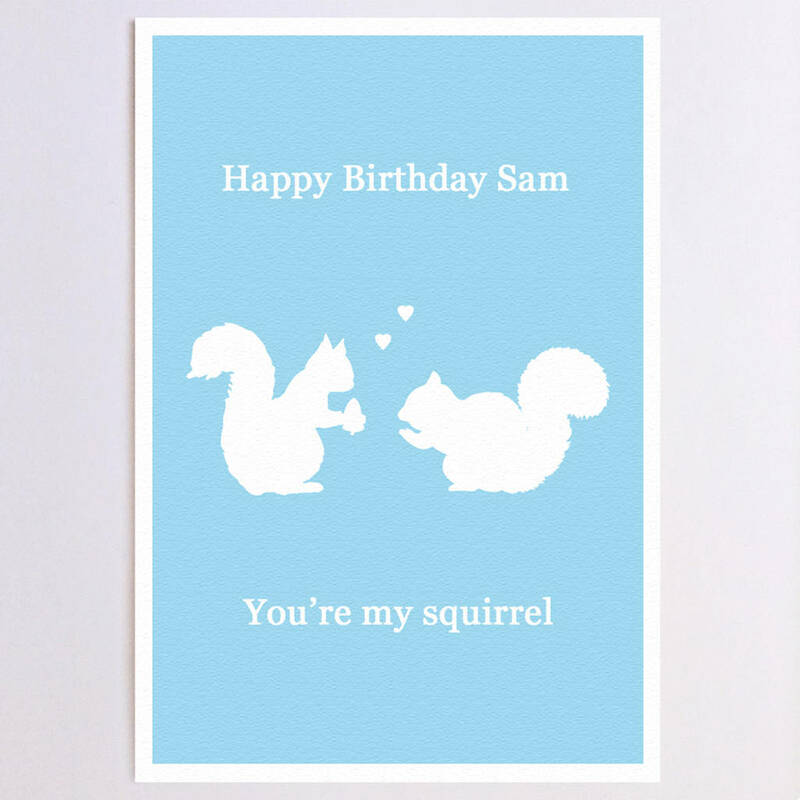 You can choose to add a message of up to 150 characters (simply handwritten or printed) for the inside of the card as well if you would like your squirrel card to be sent to your recipient directly. 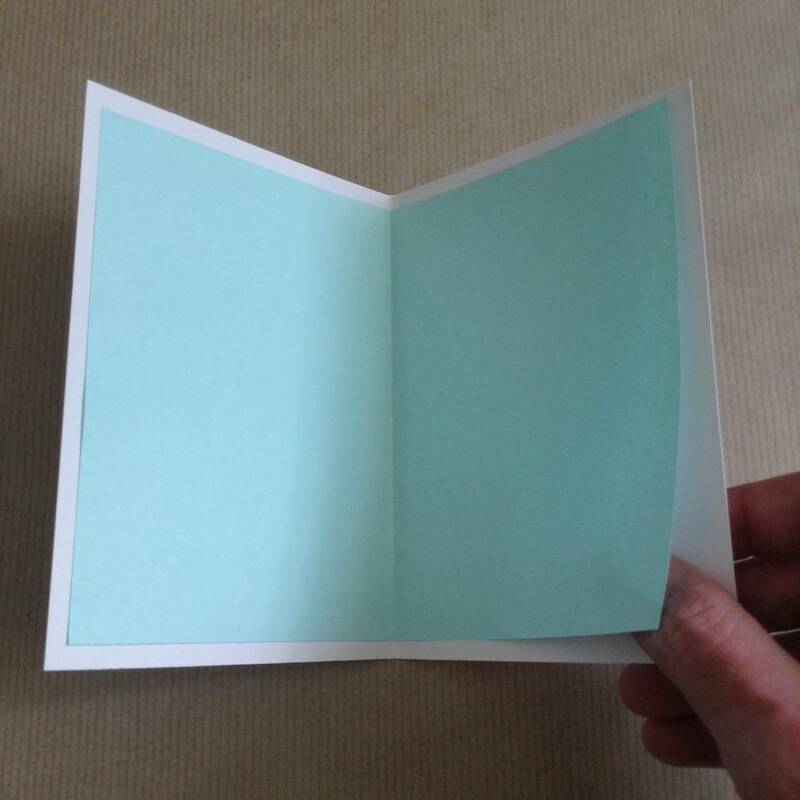 This is helpful if you are short of time. 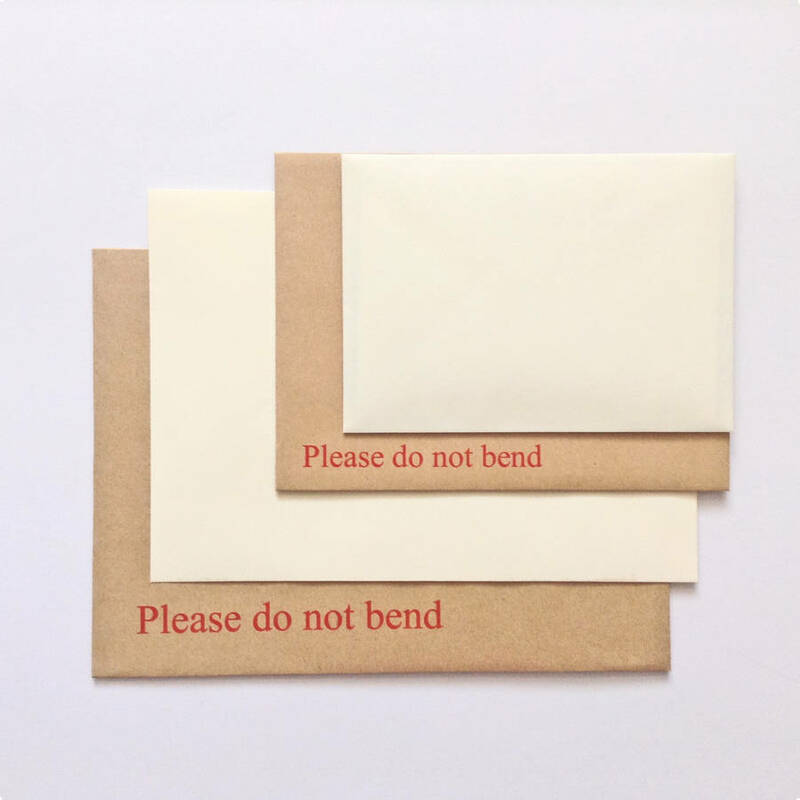 Includes a 100gsm Ivory, blue or powder pink envelope. 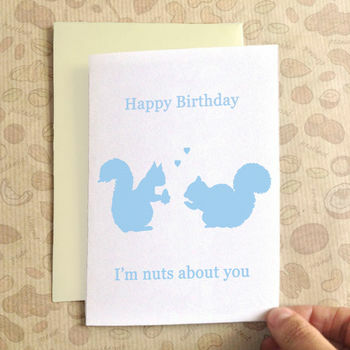 We make many other birthday cards, including cards for penguin, bear, shoe and music lovers, just see our other listings.